Please NOTE: This is NOT the physical BOOK. This is an ELECTRONIC version of the book and must be viewed on an electronic device; i.e. Ipad, Iphone, Android, Kindle, etc. The Lord desires today’s youth to reach their highest potential and become all that He desires them to be. “Winning the Prize” gives practical tips and easy-to-understand examples of how to reach God’s highest and best, even at a young age. 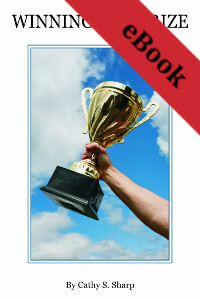 This book clearly defines what the prize is at the end of our race and how to win that prize. Cathy Sharp is an author and pastor’s wife who ministers with her husband Curtis. Together they are missionaries in Costa Rica where they operate a Bible school and mission station. © 1982-2019 Zion Christian Publishers.